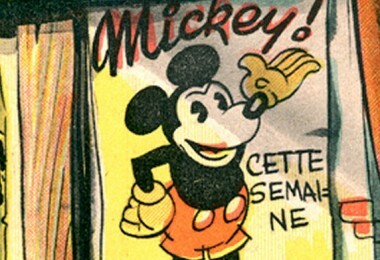 As the popularity of Mickey Mouse began to soar in the early 1930s, Walt and Roy were confronted with the challenge of meeting the explosive demand for engaging consumer products, while sustaining the creative integrity and consistent quality of their character merchandise. The first merchandise contract was signed in February 1930, granting Geo. Borgfeldt & Co. the responsibility to manage the licensing of Disney product to manufacturers in the U.S. and abroad. 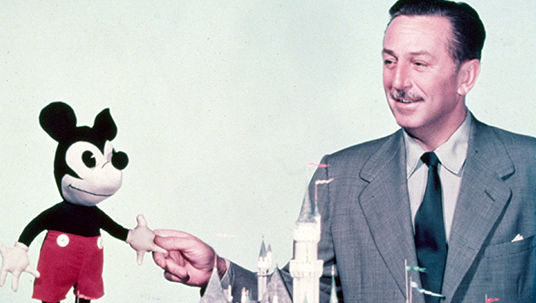 One of the items that Walt and Roy were most focused on was the production of a Mickey Mouse stuffed doll. A successful example of a Mickey Mouse doll had already been created by an enterprising seamstress in Los Angeles, Charlotte Clark (née Carolyn Geis), who in January 1930 had asked her then 16-year-old nephew and aspiring young artist, Bob Clampett, to come up with sketches of Mickey Mouse on which she could base her doll design. 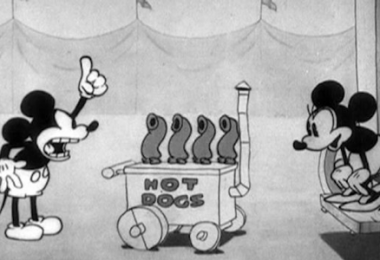 Not having any reference material handy, Bob grabbed his sketch pad and went to the Alexander Theater in Glendale, California, to sketch Mickey in action from one of the Mickey Mouse cartoon shorts being screened there. Charlotte and Bob created the first doll, and on the advice of Bob’s father, sought the approval from Walt and Roy to produce and sell their Mickey Mouse doll creations. Not only were the Disney brothers pleased with Charlotte Clark’s doll, they set it as the standard against which all subsequent Mickey Mouse dolls were soon to be measured. 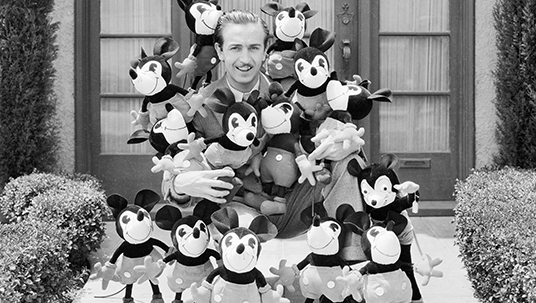 While Charlotte Clark’s Mickey Mouse dolls provided the exemplar model of product quality and character likeness that satisfied Walt and Roy/s high expectations, there were limits to the quantity that could be produced by Clark and the small team assembled to create the dolls. 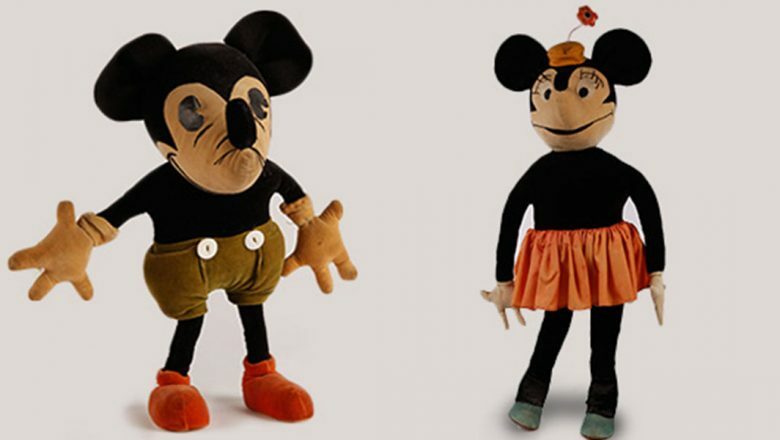 By November 1930, production reached three to four hundred dolls per week at the “Doll House,” the small rented house Walt set up near the studio for the exclusive production of these handmade Mickey Mouse dolls, which originally were given out to business acquaintances, select studio visitors, and family friends. To better meet the demand for Mickey Mouse dolls, George Borgfeldt, following the arrangements stipulated in his licensing agreement, was instructed to identify a manufacturer who could create dolls at an increased rate but maintain the specific quality and design of those being produced by Charlotte Clark. This task proved to be far more challenging than expected, with more than a year spent in creating multiple sample dolls followed by pointed correspondence from Roy Disney who, with Walt, was adamant in expressing concern over any deviation from the integrity of the doll they required. Early in 1931, Clark was also producing a Minnie Mouse doll, which Borgfeldt was asked to include in his efforts to manufacture a line of Mickey dolls. By October 1931, however, Walt and Roy were still disappointed in the examples provided by Borgfeldt but were limited by their licensing agreement with him from engaging in other production contracts. Driven by their priority to meet the demand for Mickey and Minnie dolls that sustained the character design they required, while adhering to the stipulations of their licensing agreement, Walt and Roy decided to take a different production path entirely. In partnership with the McCall Company of New York City, they chose to provide the opportunity for the public to construct their own dolls, utilizing the same design and method as those of Clark and her Doll House team. 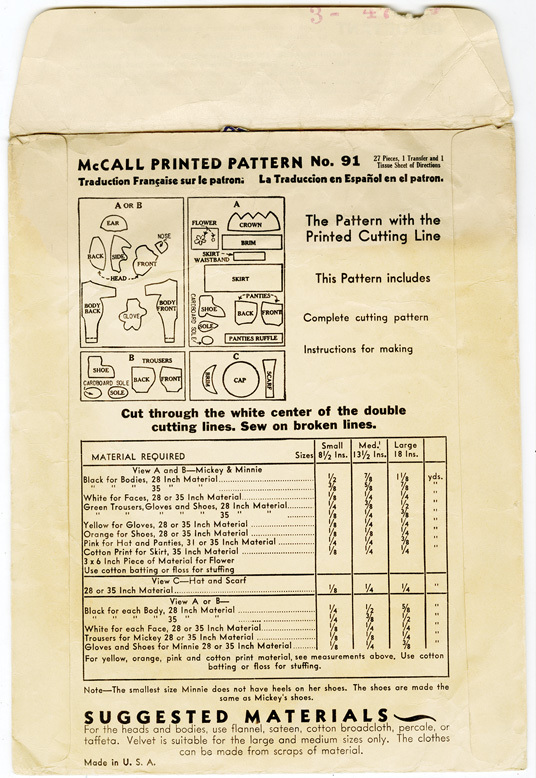 In 1932, McCall Printed Pattern No. 91, for producing a pair of Mickey and Minnie Mouse dolls, was issued at a cost of 35 cents, in one of three different sizes of dolls: small (8½ inches), medium (13½ inches), and large (18 inches). 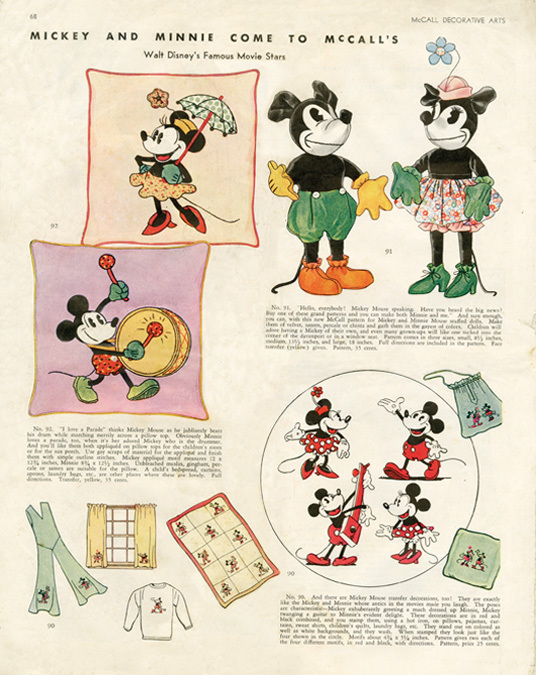 The pattern envelope contained a tissue-cutting pattern for the 27 pieces required to assemble one Mickey and one Minnie doll, complete sewing instructions, a hot-iron transfer for stitching facial details, and a list of required materials and color suggestions for each element. The front of the envelope shows a full-color illustration for each doll, front and back, with Mickey sporting a pair of jaunty green trousers, a reference perhaps, to the wardrobe he donned for his first color animated appearance in the 1932 short film, Parade of the Award Nominees produced for a screening at the Academy Awards® Banquet that same year. Also printed across the bottom of the pattern envelope are the specifications that “This pattern sold for individual use only and not to be used for manufacturing purposes,” emphasizing the distinction of the pattern’s home-sewing, consumer-focused usage. In addition to encouraging consumers to stitch their own dolls, McCall’s promoted Mickey and Minnie appliqués that could be used to decorate pillows, curtains, aprons, children’s bedspreads, and other home accessories. 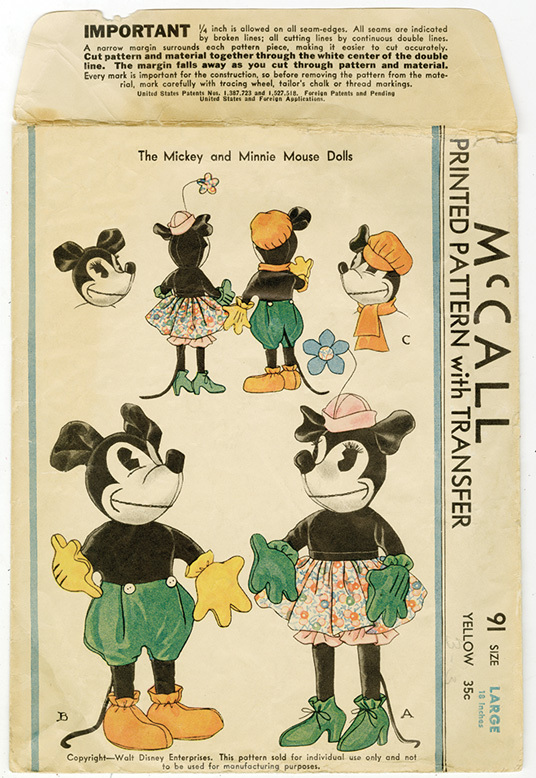 There were also Mickey and Minnie iron-on transfers, in characteristic poses inspired by their films, suitable for adorning pajamas, sweat shirts, quilts, and laundry bags, according to an advertisement welcoming “Walt Disney’s Famous Movie Stars” in the Summer 1933 issue of McCall Decorative Arts magazine. The McCall Pattern No. 91 was available from 1932 through 1939, resulting in thousands of treasured and now highly collectible Mickey and Minnie dolls. 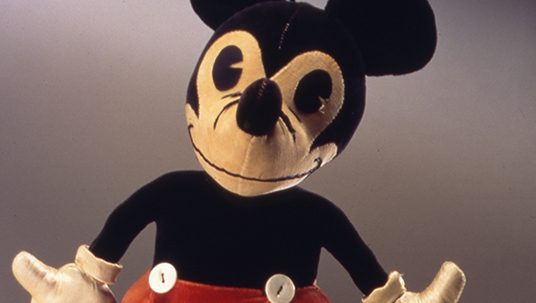 By 1934, after George Borgfeldt’s contract agreement had expired and the inimitable Kay Kamen was helming the company’s licensing business, Walt and Roy were able to arrange for the Knickerbocker Toy Company to manufacture Mickey and Minnie stuffed dolls, also designed by Charlotte Clark. Later, in 1947, dolls were made by the Gund Manufacturing Company, where Clark continued to oversee the dolls’ designs until her retirement in 1958. 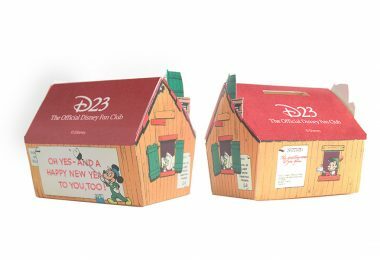 As a result of Walt and Roy’s commitment to the creative integrity of their characters and product, the Mickey and Minnie dolls from Charlotte Clark’s designs are still some of the most highly prized Disney collectibles of all time.